If you’re in the market for a new baby gate, you’ve probably noticed how most of them tend to look the same. You might be turned off by the plastic design or large bars that seem to turn your home into a prison, and are desperately looking for a more stylish alternative that can get the job done. Evenflo has created a gate that’s a little different from the rest and it’s the perfect choice for homes who want a more modern looking device. 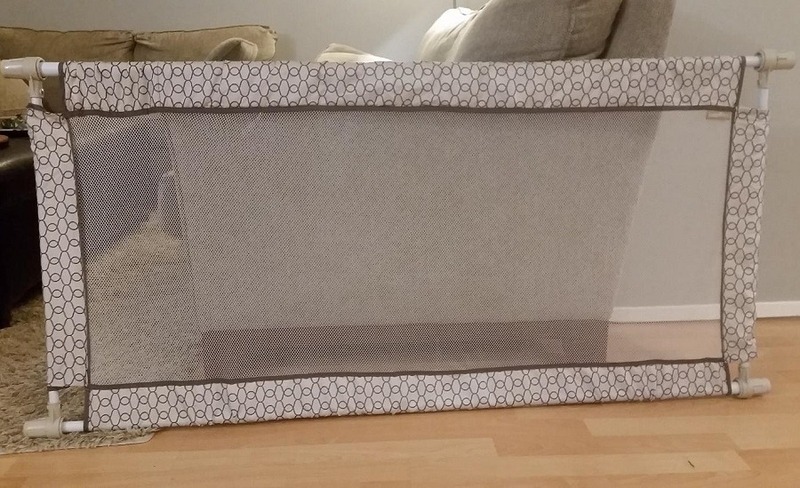 We’ve reviewed the best and worst of the Evenflo Soft and Wide Gate to see if it’s a worthy addition to your family home. Evenflo creates all manner of baby gear including prams and gates, and everything in between. They offer a modern approach on most traditional products and their Soft and Wide Gate is no exception. This gate stands the same dimensions as others but is made a neutral style that suits more looks. This gate is extra wide so it will suit even the largest of doorways and the softness and neutral style is a nice touch. If you don’t like the bars and hard plastic look of most gates, you’ll really appreciate how much this adds to your home. While the cloth mesh does look better than a traditional gate, it might not be as strong as you’d hoped. People with pets or babies and kids who like to be a bit forceful getting at the gate will notice it damages pretty easily, so it’s not going to be suitable for every home. 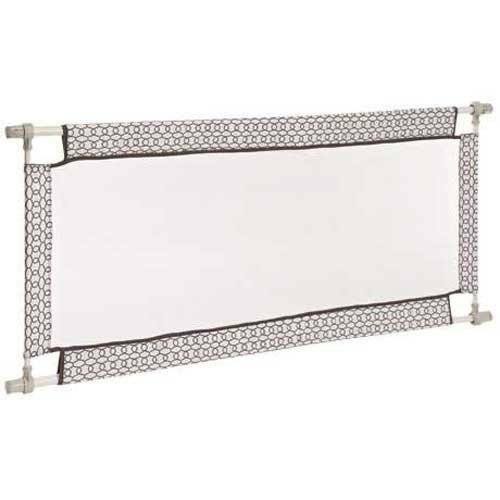 Amazon has the best price on the Evenflo Soft and Wide Gate, currently listed for around $50. They’ll send this gate straight to your door for free and it’ll arrive in just 48 hours if you’re lucky enough to be part of their Amazon Prime program, which is a huge bonus for shopping in the online store. There’s no word from Evenflo on a warranty for this particular gate so you need to be cautious that those at home are careful with the mesh. 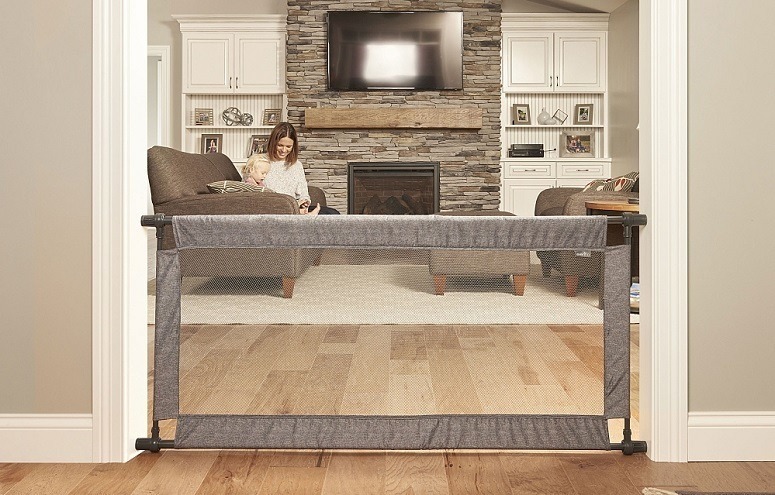 Baby gates don’t have to be bulky and big, and if you prefer the more neutral style, you’ll love the Evenflo Soft and Wide Gate. This wide gate won’t distract from the look of your home but will add some safety to prevent babies and kids from getting through. To get your Evenflo Soft and Wide Gate and bring some peace of mind to your house, click on the button below to check them out.